Right in the middle of the Boka Kotorska, and halfway between the towns of Kotor and Herceg Novi, is the village of Morinj, a small picturesque seaside hamlet known for its lush green mountainous slopes, crystal clear springs and creeks, old watermills and rich cultural history. 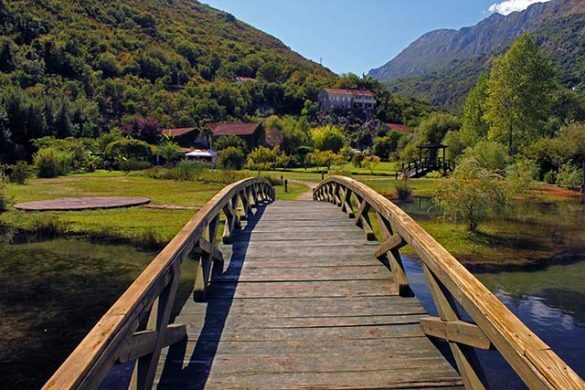 Just 5 kilometer from the region’s ancient capital, Risan, Morinj possesses one of the greenest and most diverse ecologies in this part of the Dinaric Alps. 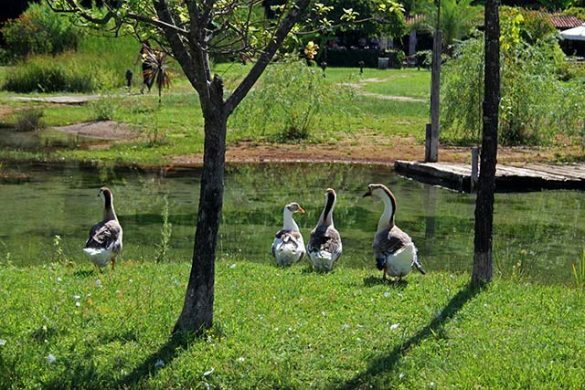 Its natural pebble beach, lush forests, and network of interconnected springs, known as Little Venice (Mala Venecija), is perfectly suited for families who wish to spend their holiday truly immersed in the local culture, history and untouched nature. One of the Bay’s best known seafood restaurants, the Catovica Mlini or Catovic Mills sits on the shores of Morinj’s Little Venice. This family-owned restaurant features exceptional local seafood specialties, in addition to other Mediterranean favorites that make it a unique dining experience. Although not as well-known by travelers as Kotor and Herceg Novi, Morinj’s history is larger than the hamlet itself. Venetians ruled Morinj after defeating the Ottoman Turks. In the early 18th century, Morinj started experiencing economic growth. During this time, entrepreneurs, captains of great vessels and the shipbuilders made their fortunes taking the region’s sons onto the high seas. With this newly found wealth, they constructed beautiful stone houses along the coast with meter-thick walls, which standing today as a testament to their locals’ fortitude. Prior to the Venetian and Austro-Hungarian economic booms, Upper Morinj was considered the village center. During the uncertain Turkish times, people stayed away from the very dangerous coast. Once the Turks were defeated, Morinj grew to become the second most populated town after the regional capital, Kotor. During this time many locals maintained vineyards, olive gardens and grew wheat and corn in Morinj’s favorable climate, so the village at one point had 20 mills working, where people from all over the bay would bring their crops. Today, only two mills are standing, Catovica Mlini and one which still operates in Little Venecia. Morinj’s Saint Jovan parish also established the region’s first elementary school in 1804 to teach its pupils in their native Serbian. At the time, schools only offered education in German and Italian, which left the local population largely self-taught or literate in only foreign languages. With the increased use of steam engines and the disappearance of the beautiful sails which once dotted our coasts, Morinj’s economy began to decline. Many immigrated to the United States, among them Sheriff Marko Milinovich of Virginia City, Nevada, shot dead in a Western shootout by outlaws in 1863. By the early 20th century, almost two thirds of the population between the ages of 18-40 had left. The Yugoslav Kingdom brought another wave of prosperity after its establishment in 1918, but the onset of World War II, and then fifty years of Communist dictatorship, furthered Morinj’s decline. Morinj located in the middle of the Boka Kotorska, in the tourist history of the Bay has always claimed its place by the presence of one of the two present camping sites that is located, where it is the largest and best known. The other is the ambiente restaurant Catovića Mlini. It was once with water-driven flour mills on this site, and now a restaurant. In a beautiful ambience offered by a lively stream and exuberant vegetation, you can enjoy fish specialties and homemade wine here. But also Morinj has not missed out on tourist growth and has invested in various new accommodations. 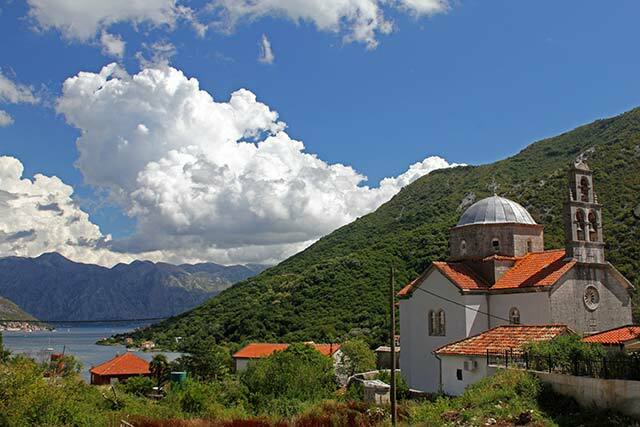 Morinj is fortunate that it offers a wide view of this part of the Bay and looks out on the steeply rising Orjen mountains and the historical places of Perast and Risan. In addition, Morinj gradually rises into a widely spreading area, which does not obstruct the view. The central location also makes it a perfect starting point for exploring the entire Bay and any landmark or place can be reached within 40 minutes by car. These characteristics, combined with the more available space and tranquility, have ensured that several projects have been realized aimed at more luxury. Which makes a good alternative for people who are looking for a slightly quieter place but with the possibility to be anywhere within a short period of time. 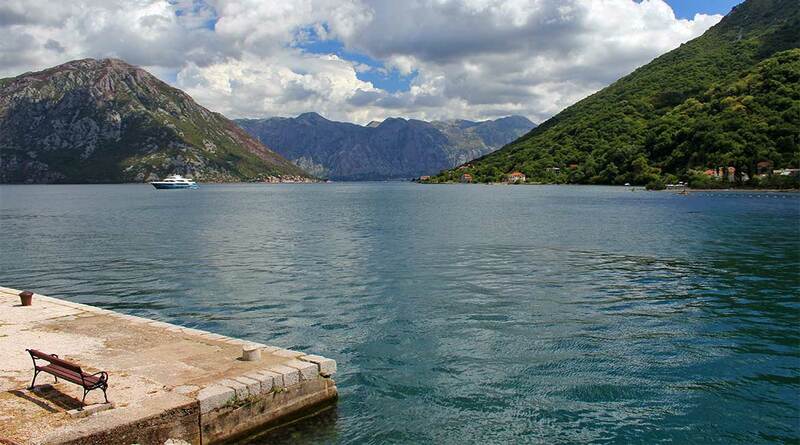 Sunshine of Montenegro – This property is a 4-minute walk from the beach. Located in the lower part of Morinj, Sunshine of Montenegro offers modernly furnished and spacious apartments with a terrace overlooking the sea. The property features an outdoor swimming pool and free Wi-Fi. All apartments are equipped with air conditioning and a living room with an LCD TV with cable channels. Each unit has a full kitchen and a bathroom with a bath or shower, a bidet and free toiletries.The beach is a few steps from Sunshine of Montenegro. Facilities : Free Wi-Fi, Free Parking, Outdoor Swimming Pool, VIP Room Facilities, Terrace, BBQ Facilities, Car Hire, Airport Shuttle, Grocery deliveries (surcharge), Sea View. Lavender Bay Resort – Lavender Bay resort is located 200 meters from the center of Morinj and its beaches. All guests can enjoy free access to the resort’s Club House with a hot tub, Finnish sauna, Moroccan hammam and a wide range of spa services. The resort also has a swimming pool with an infinity edge overlooking the Boka Kotorska and sun loungers for sunbathing. The modern style apartment is located on the 2nd floor in a Mediterranean-inspired building with a lift. 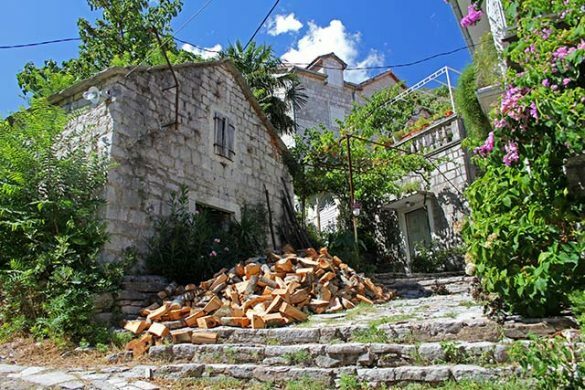 It offers a balcony with views of the Boka Kotorska and the rustic village of Morinj. Free Wi-Fi and free parking are available. Facilities : Restaurants, On-site coffee shop, Bar, Outdoor pool, Hot tub / jacuzzi, Spa and wellness center, Massage (surcharge), Sea view, Laundry, Balcony, Terrace, Outdoor furniture, Facilities for disabled guests, Free Wi-Fi Internet access, Free parking.